The first city created. 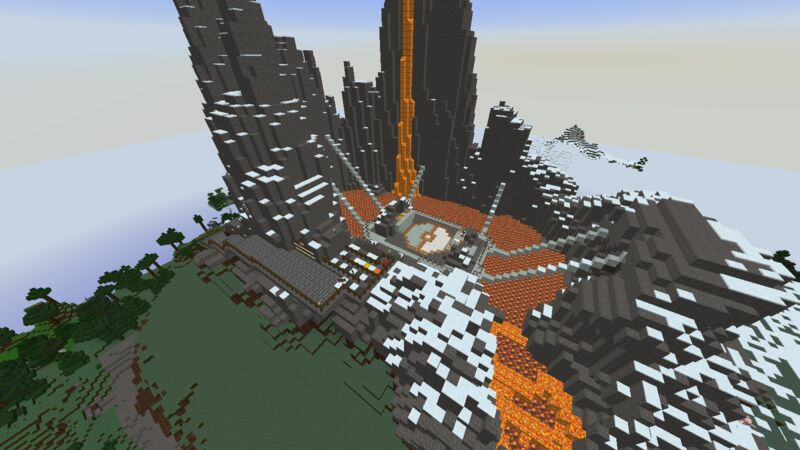 This is where you will spawn and start your adventure. 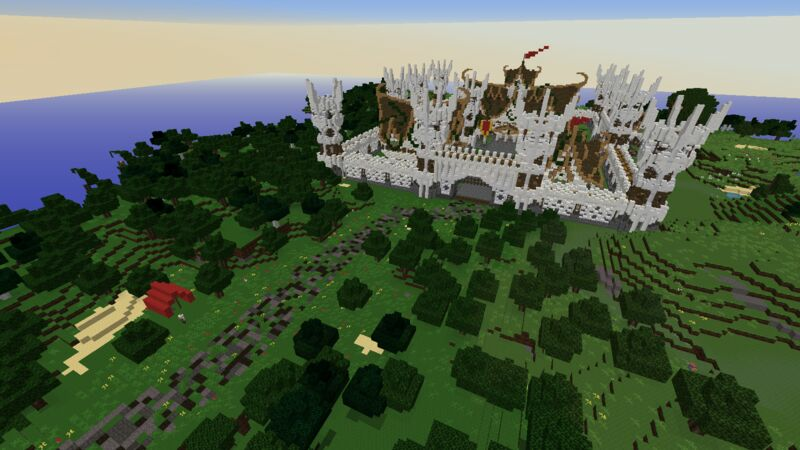 The fortress of one of the avaiable Factions. The mercenary guild available only to players that didn't want to join one of the two factions. This NPC's were created with the mod CustomNPC's. As everyone knows by now, Pixelmon can be boring past a certain point. 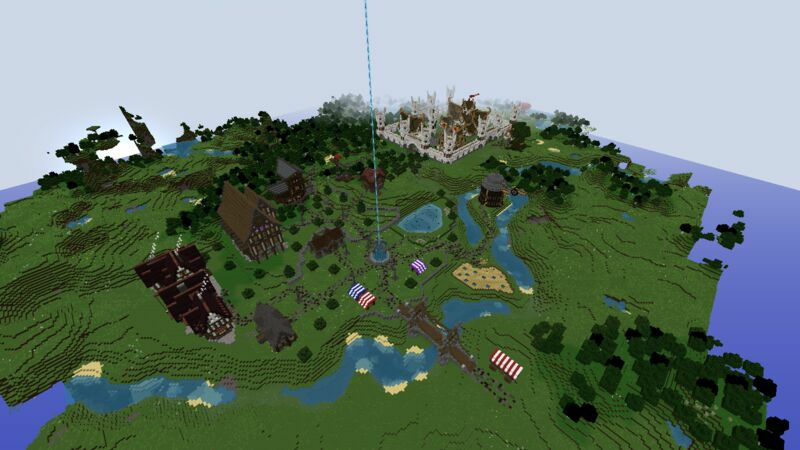 And because of that we had an amazing idea of creating a roleplay server, so we decided to add a few mods into the mix. 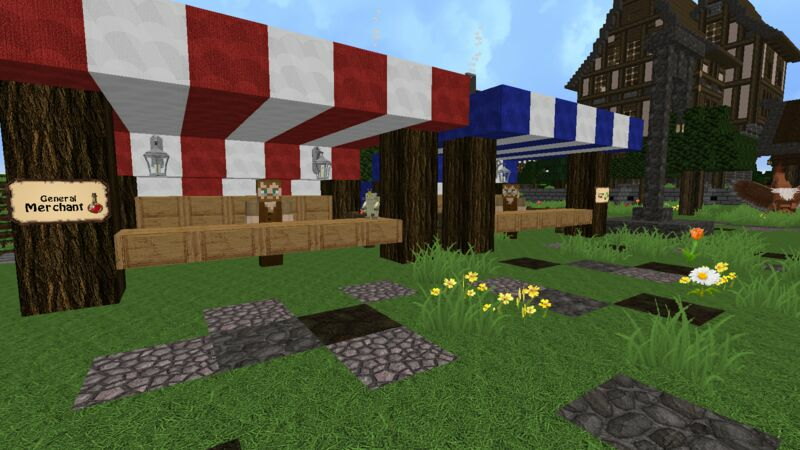 We added CustomNPC's, MrCrayfish's Furniture, HarvestCraft and BiblioCraft, and also created a medieval/realistic texture pack that you might be able to get in our website. 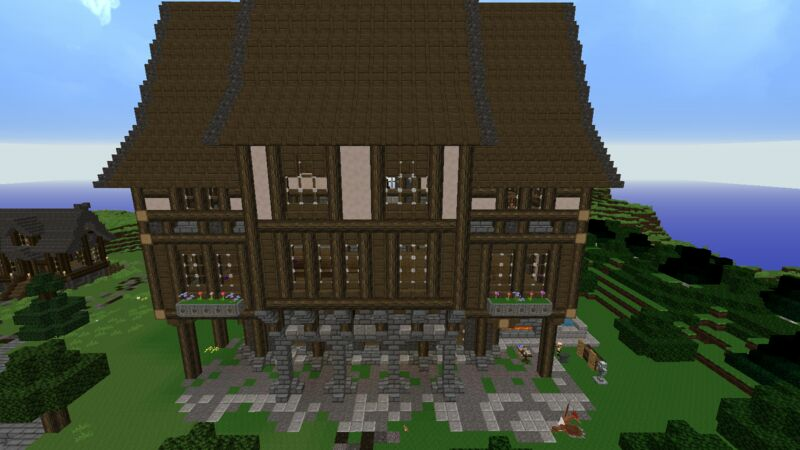 For this roleplay idea, we decided to have the themes of Fantasy and Medieval. And I'm going to explain a bit of it. Like some of the MMORPG's that we play there will be a part of the story where you have to chose a side no matter what you do. There will be 2 Factions that are at war to chose from. But there is a twist! You can actually deny to join them and not get involved in their war and become a neutral player. For those players that denied to join one of the two Factions will be able to join the mercenary guild. Like the word "mercenary" means, you will be able to take quests from both the Factions and your Guild. And yes, I said quests! But this aren't your normal quests. This quests change with every desicion you make. So be carefull with what you chose to say, because that can decrease your reputation with one of the Factions and that can make you an enemy for them. Did it grab your interest? How about you join and see it for your self!